This year started out with The Addams Family which is a musical that center around the house of the Addams Family and goes into all the crazy events that take place there. 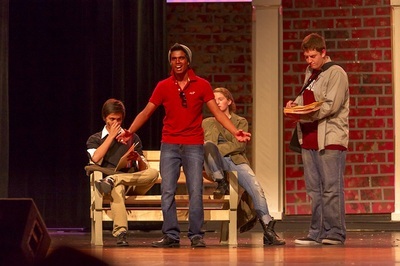 This year started out with The Laramie Project, a play surrounding the murder of Wyoming gay student Matthew Shepard in Laramie, Wyoming in 1998. 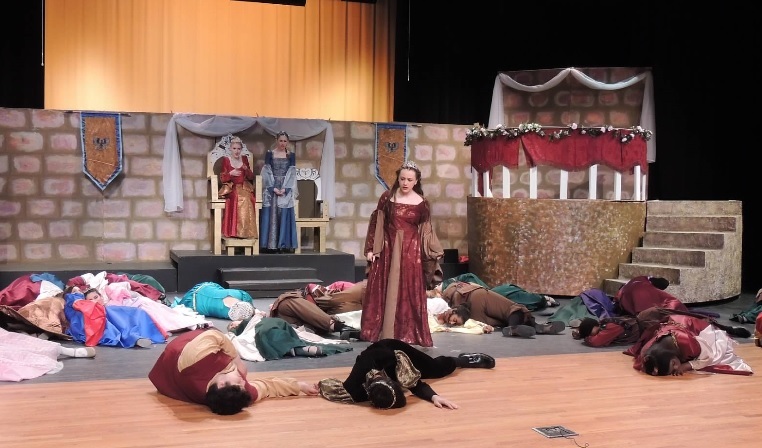 The show expresses how this murder affected the town as well as the rest of the world. We ended this year off with a bang in the production of Lin Manuel-Miranda's "In The Heights" - The story explores three days in the characters' lives in the New York City Latino neighborhood of Washington Heights. 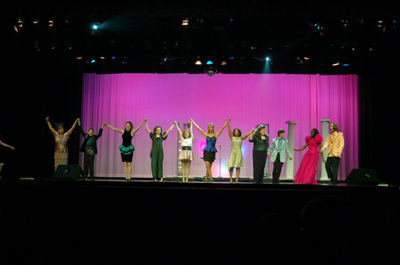 The score features hip-hop, salsa, and soul music. 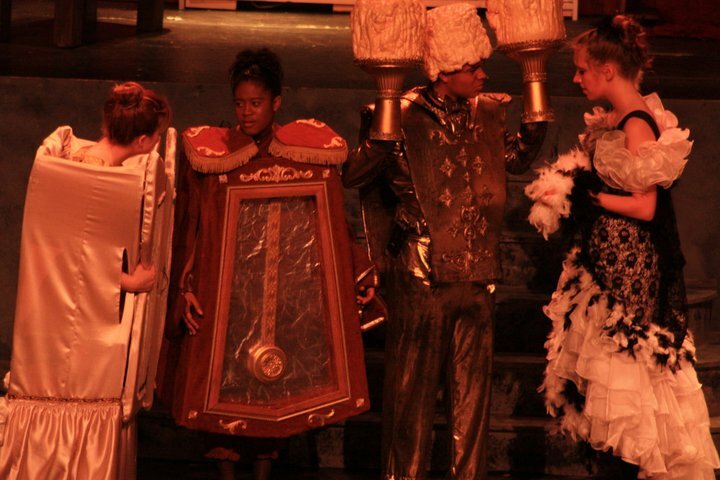 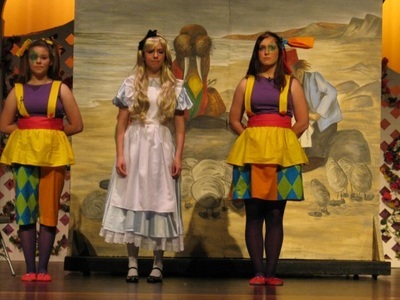 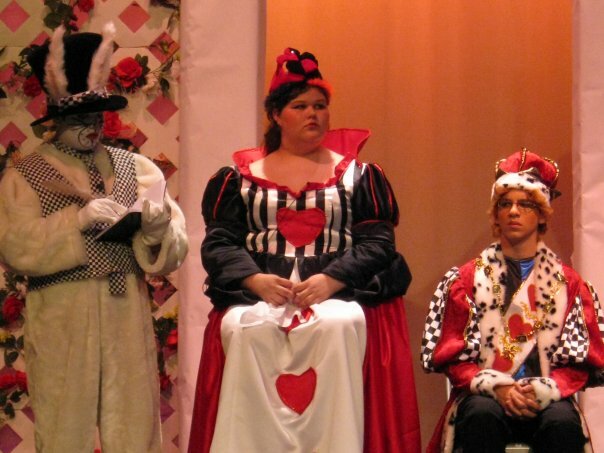 This was a children's musical year with Honk! 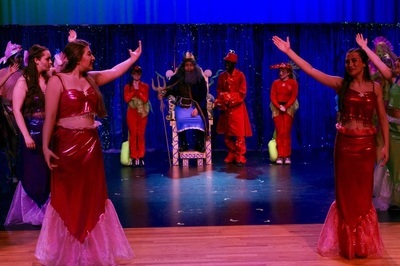 in the fall and Disney's The Little Mermaid in the spring. 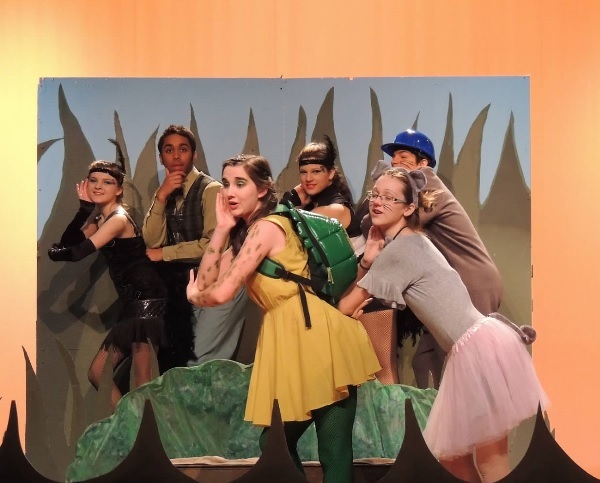 Honk! 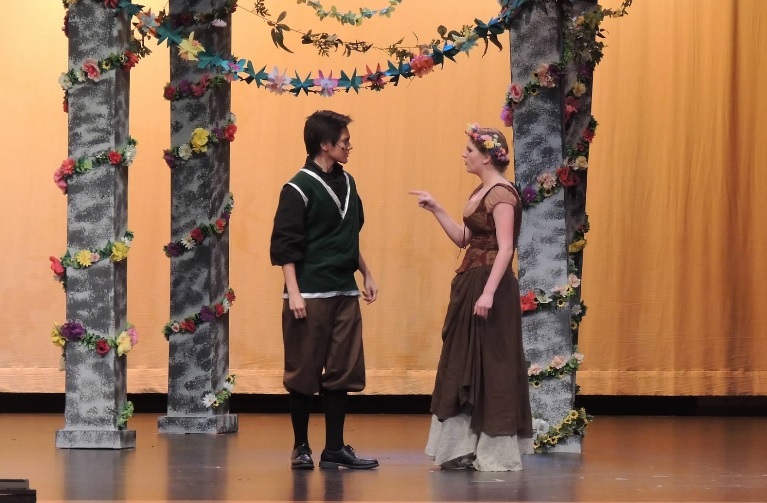 tells the story of the Ugly Duckling after he gets lured away from his nest by Cat who wants to eat him. 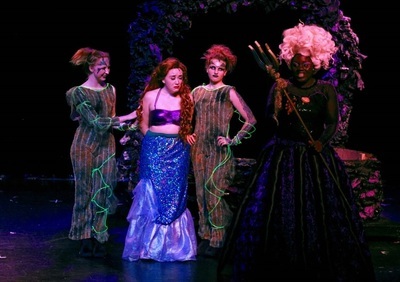 The Little Mermaid is the musical adaption of Disney's famous 1989 animated movie about a mermaid named Ariel who falls in love with a human prince. 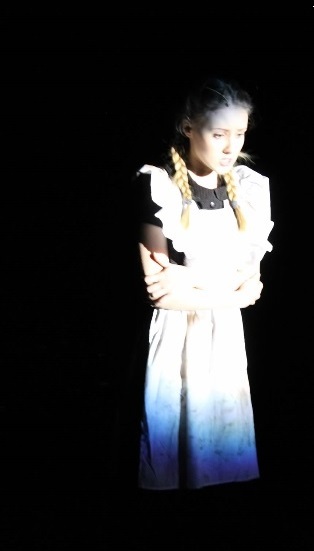 This year was quite the ride; going from A Little Princess in the fall to Disney's Tarzan in the spring. 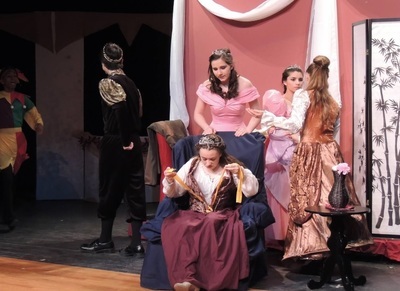 A Little Princess is a play surrounding the life of Sara Crew after she loses all her money when her father dies. 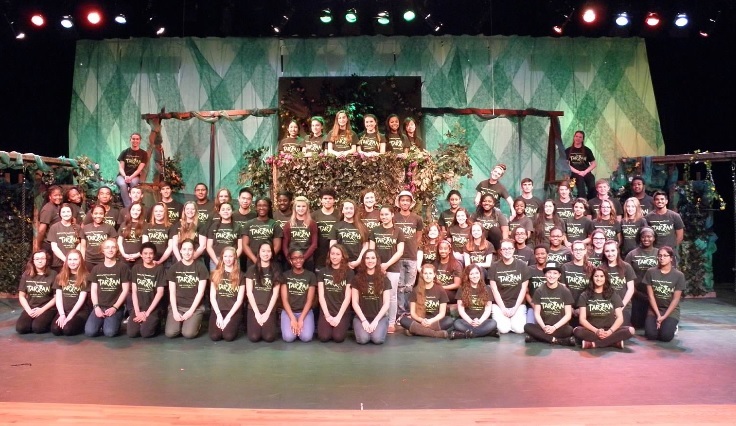 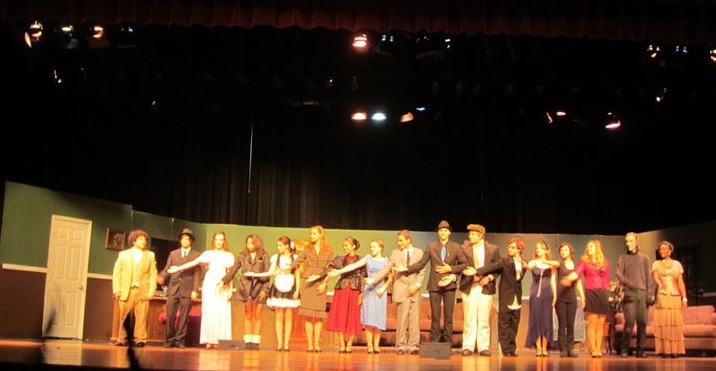 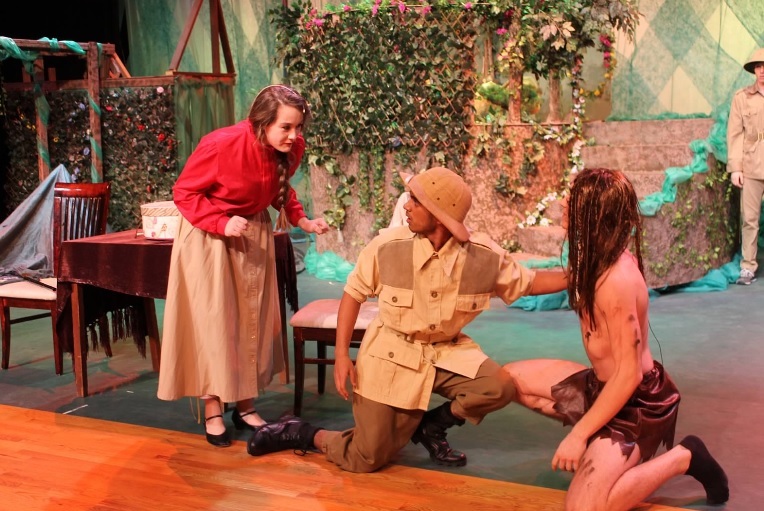 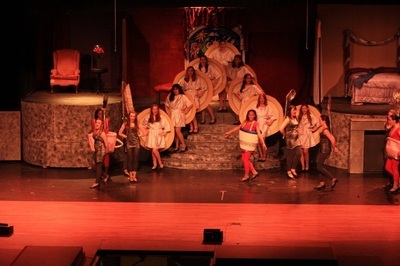 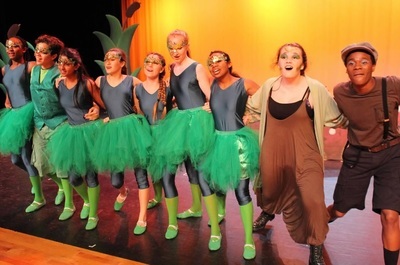 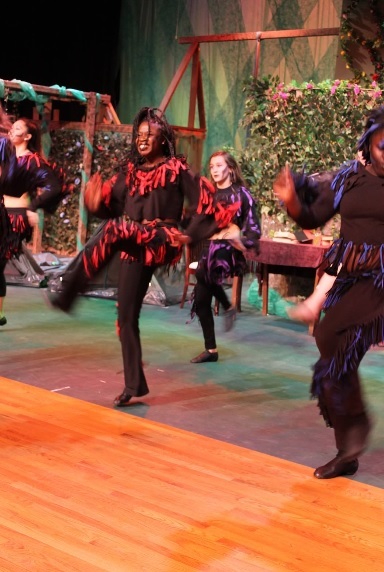 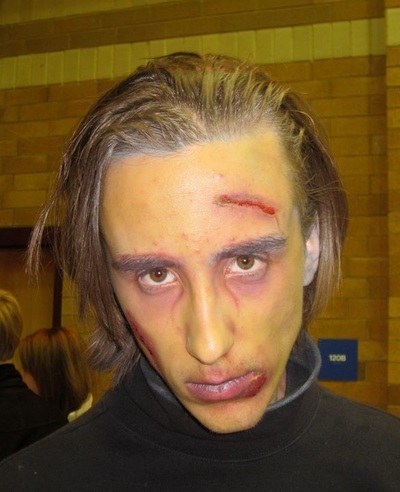 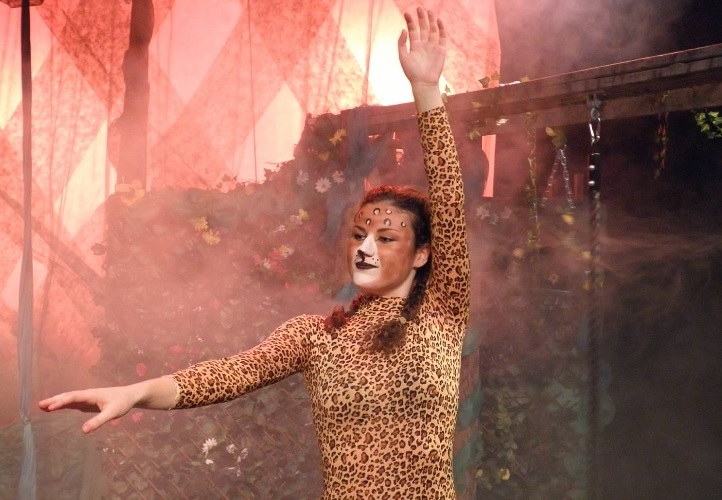 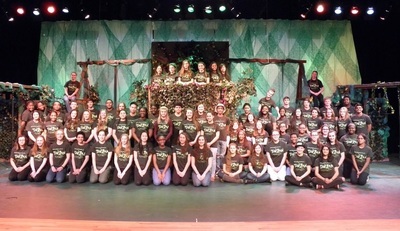 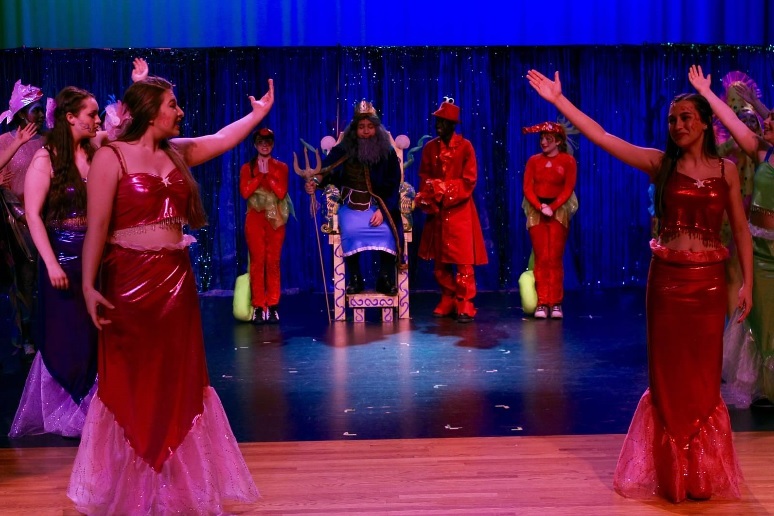 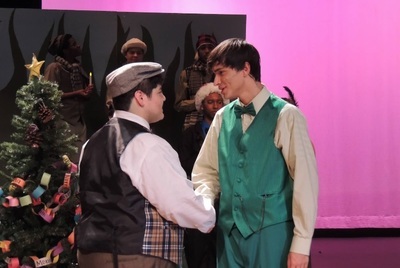 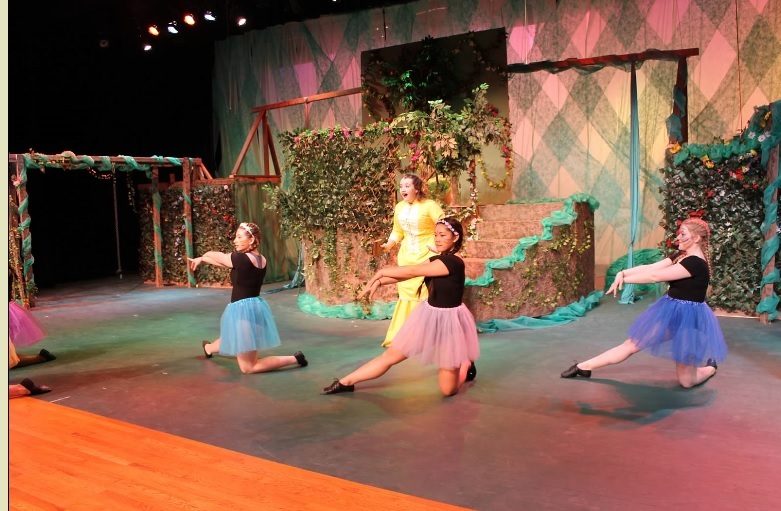 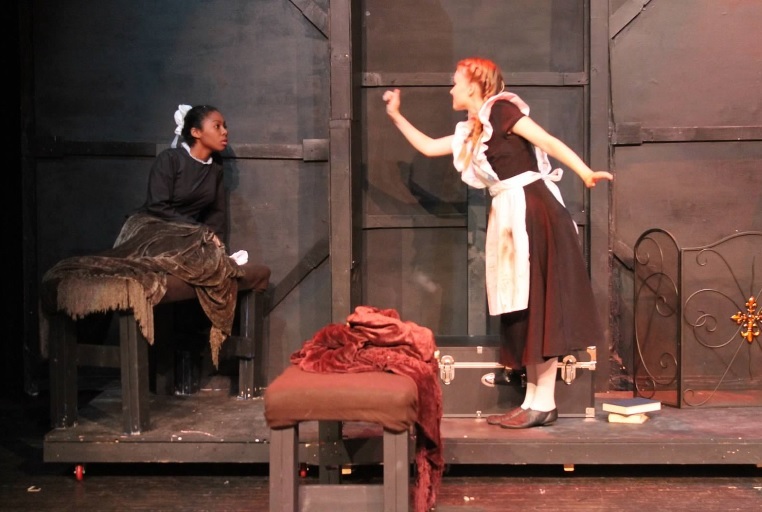 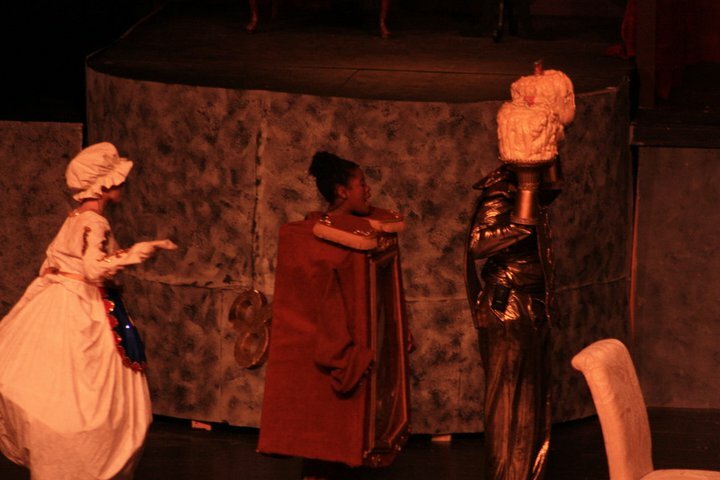 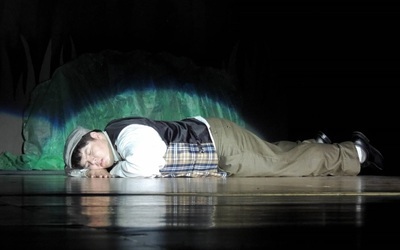 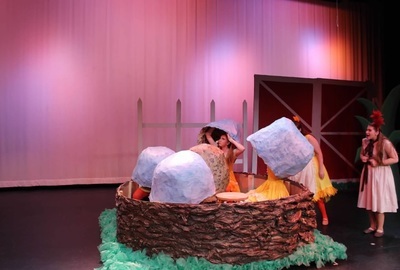 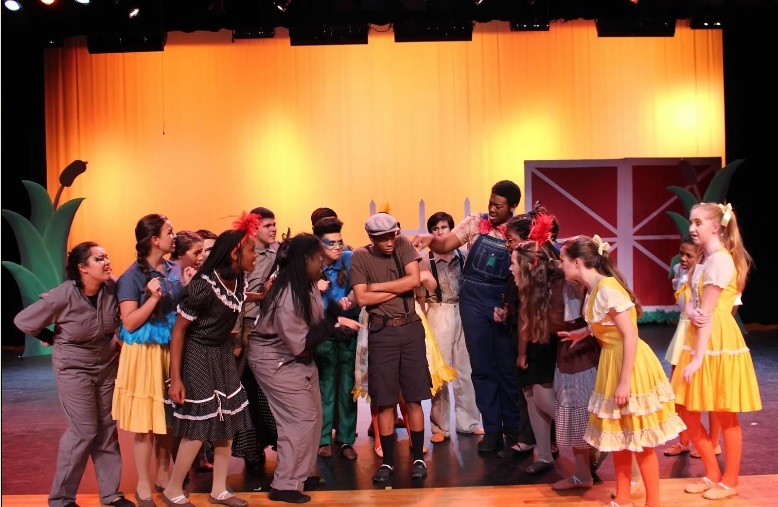 CHStage is the first theatre group to perform Tarzan in Montgomery County Public Schools, a fact that gave both the cast and crew members an extra push to work their hardest on the show. 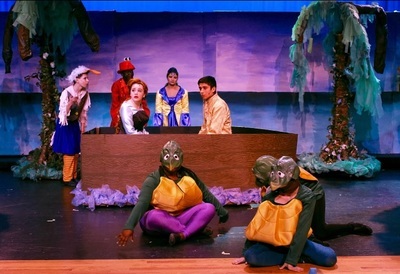 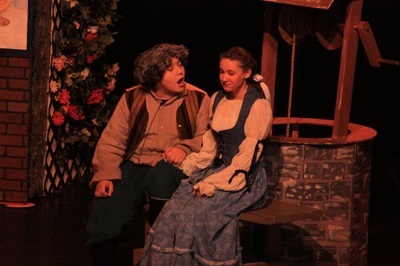 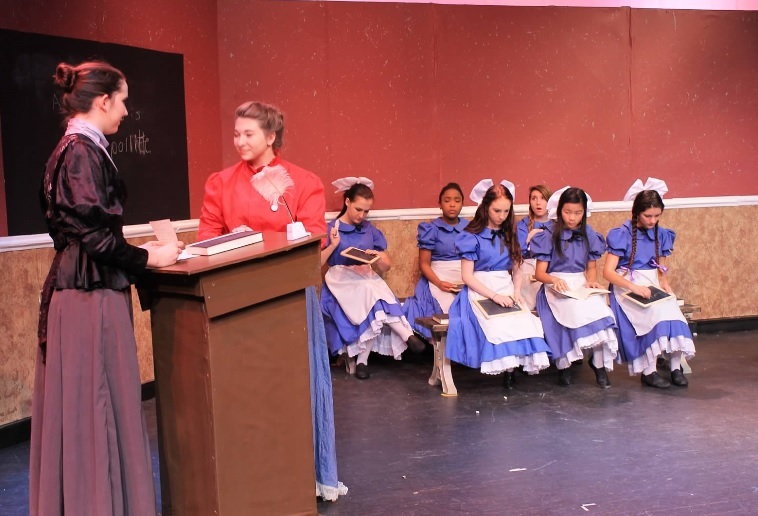 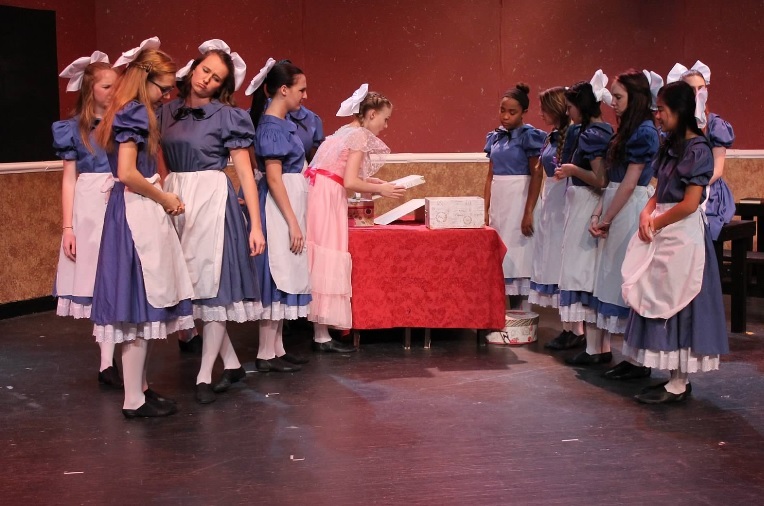 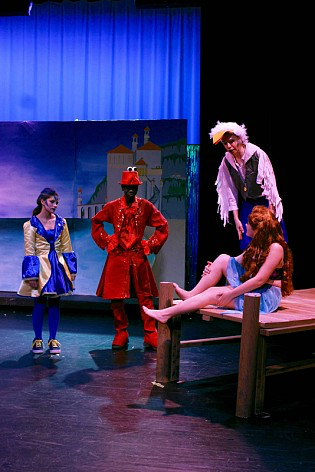 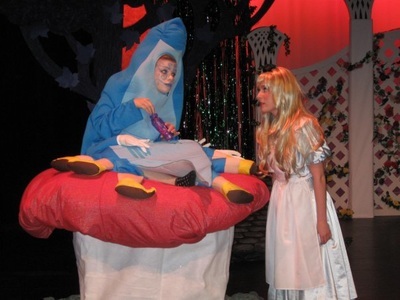 This year we did two musicals - A Year with Frog and Toad in the fall and Once Upon a Mattress in the spring. 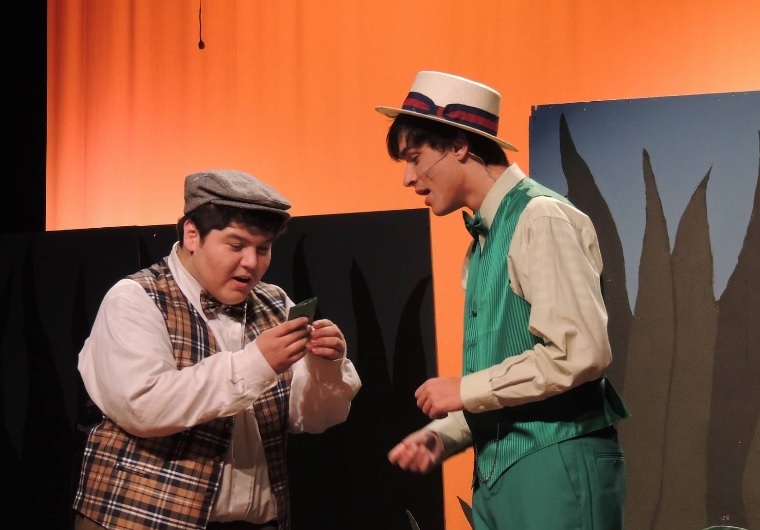 A Year with Frog and Toad is the musical adaptation of the Frog and Toad children's books by Arnold Lobel and it goes through a year with best friends Frog and Toad and all their other animal friends. 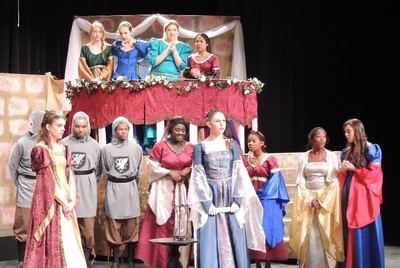 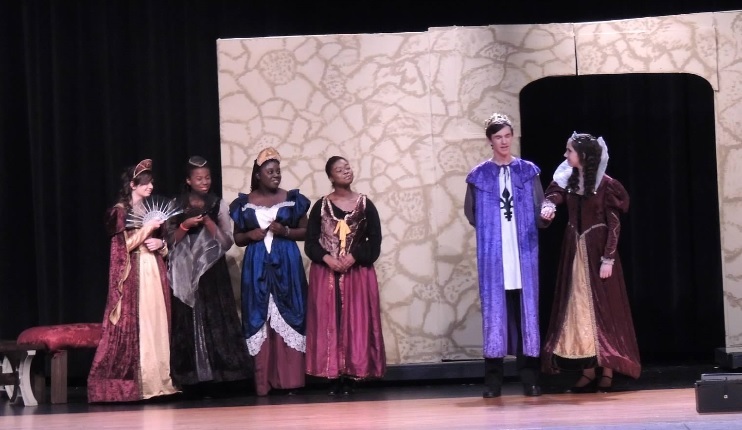 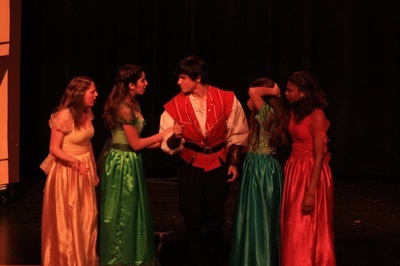 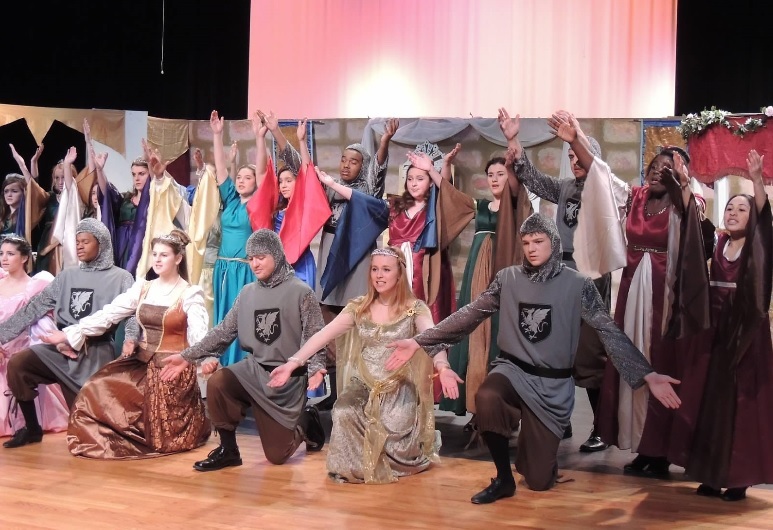 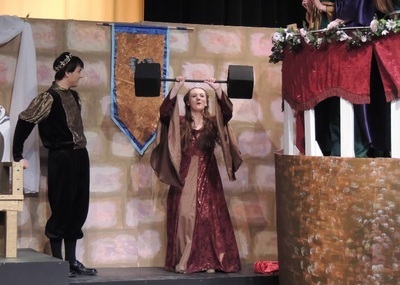 Once Upon a Mattress takes place in a kingdom where no one can marry until Prince Dauntless does. It ties in with the story of the Princess and the Pea; in this case Princess Winifred or, "Fred". 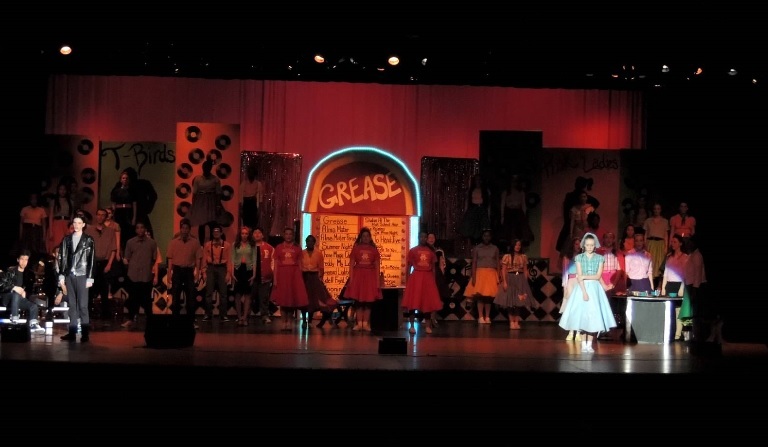 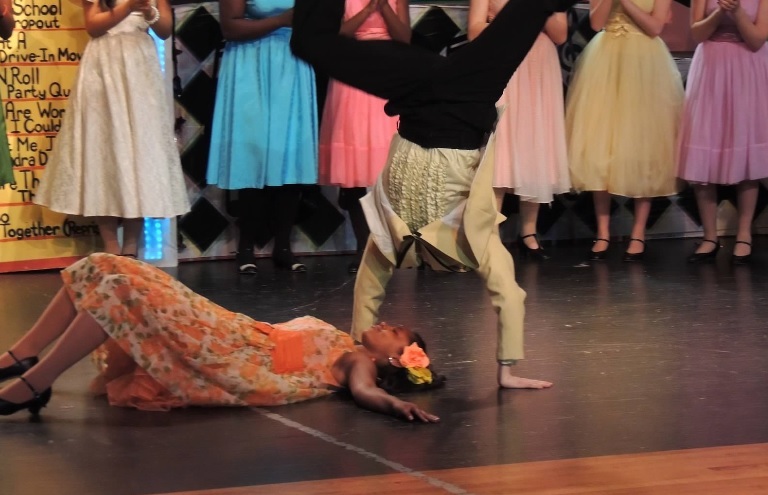 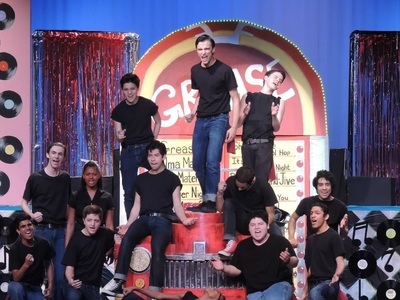 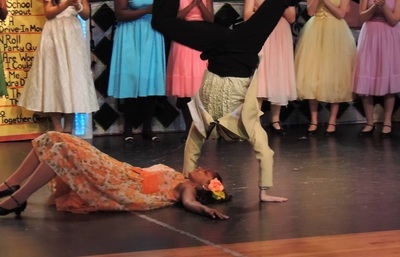 We kicked off the year with the classic A Midsummer Night's Dream in the fall, followed by Grease in the spring. 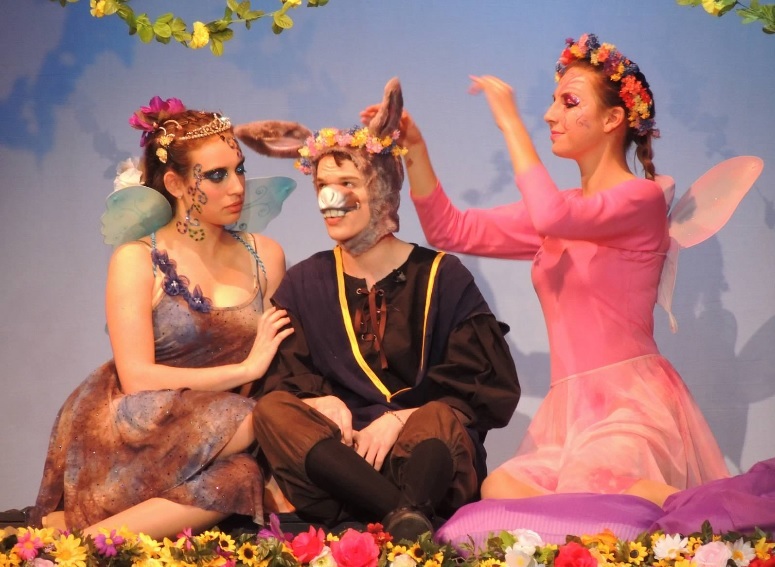 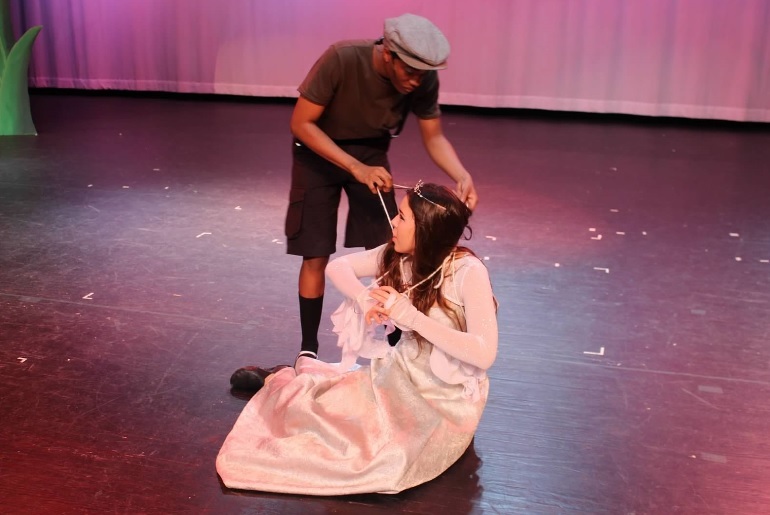 A Midsummer Night's Dream is one of Shakespeare's more well known plays surrounding different groups of people who all are involved in the wedding between Theseus and Hippolyta in one way or another, and lots of love problems. 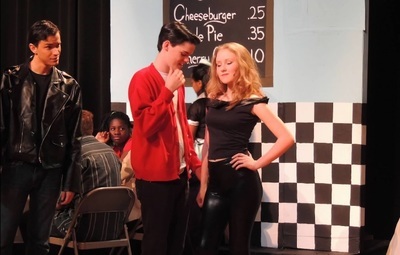 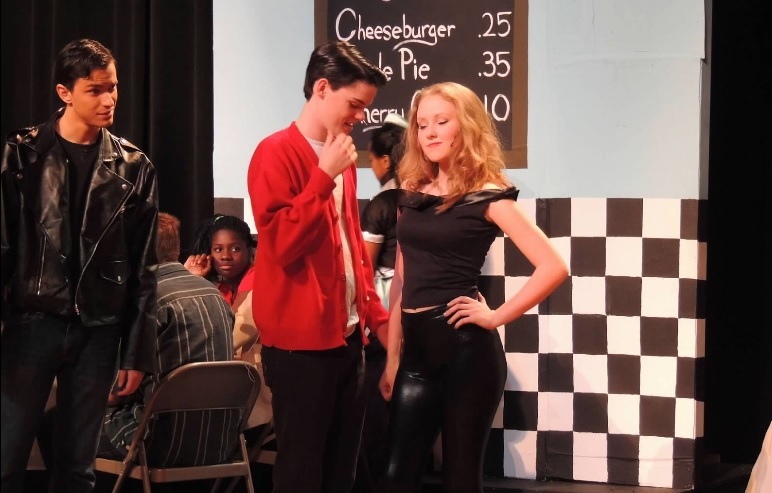 Grease is the story of 50s biker Danny Zuko falling in love with good girl Sandy Dumbroski, but he's too caught up in his biker image to show he cares about her. Two musicals this year with You're a Good Man, Charlie Brown in the fall and Legally Blonde in the spring. 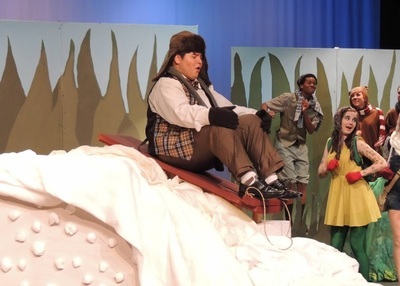 Musical comedy You're a Good Man, Charlie Brown is based on the Charles Shultz comic strip Peanuts featuring Charlie Brown, Snoopy, and Schroeder. 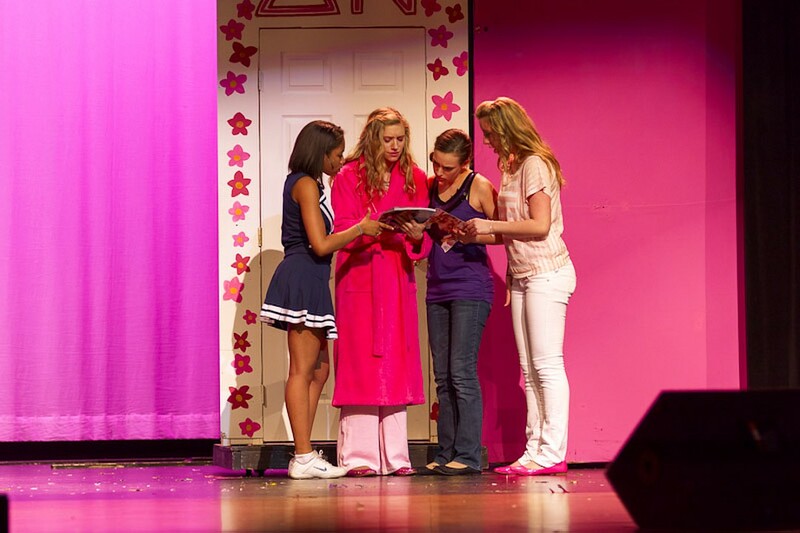 Legally Blonde is the musical adaptation of the book and 2001 movie of the same name. 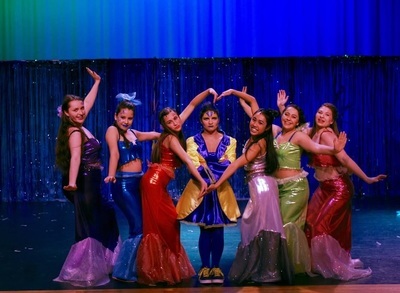 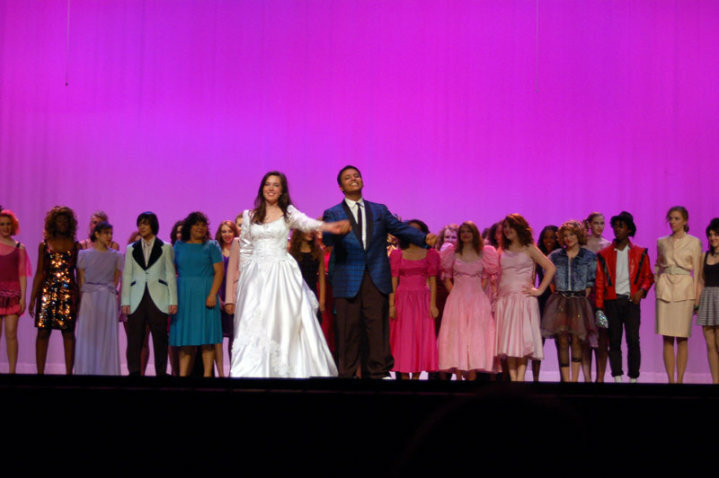 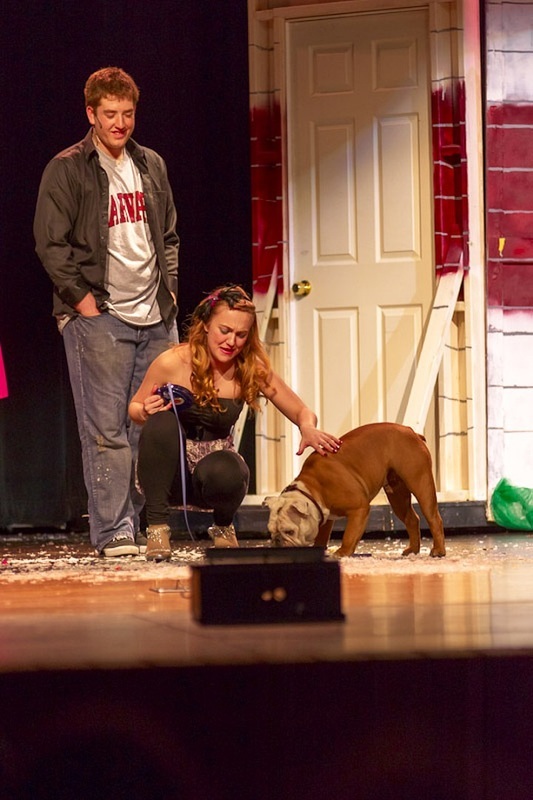 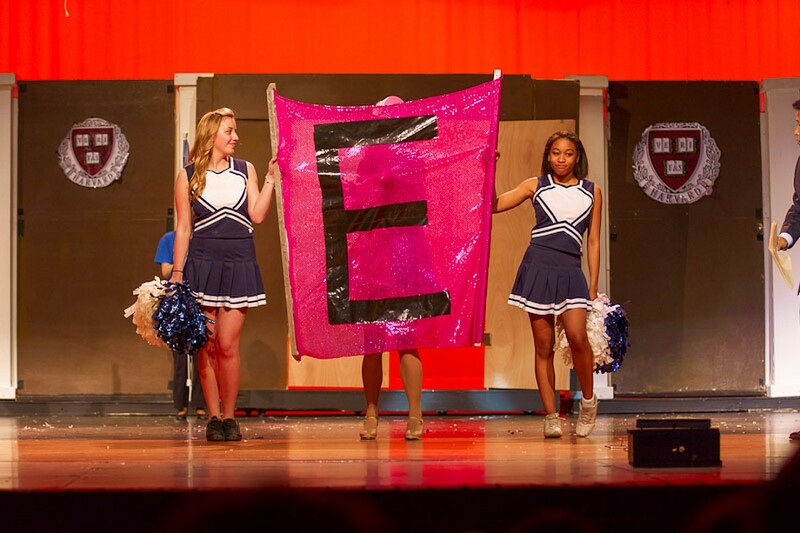 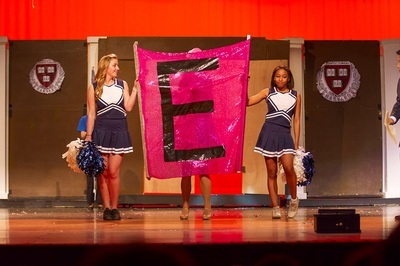 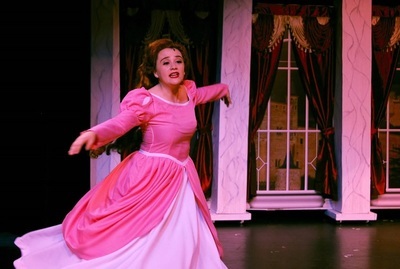 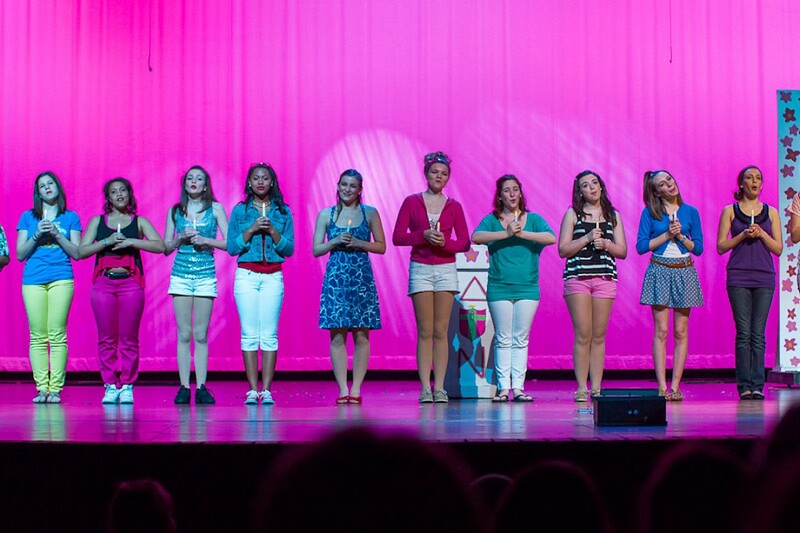 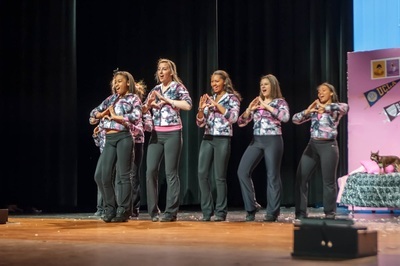 The musical tells the story of sorority girl turned Harvard law student, Elle Woods. In the fall we put on a lesser known murder mystery play Done to Death, followed by well known musical Beauty and the Beast. 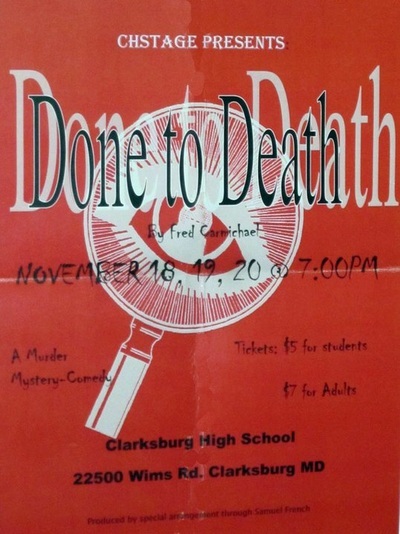 In Done to Death five mystery fiction writers are brought to a house where they all proceed to be murdered. ​Beauty and the Beast is about a woman named Belle who is forced to live with the human turned Beast in his castle. The Beast has to earn Belle's love before he becomes trapped as a beast forever. 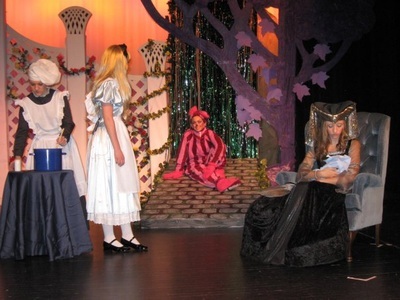 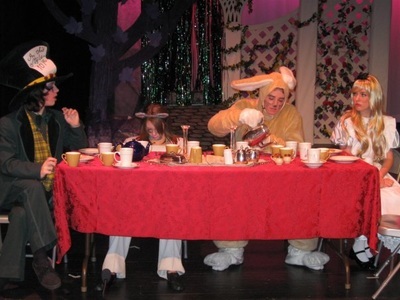 Alice in Wonderland is the stage adaptation based on the books Alice's Adventures in Wonderland and Through the Looking-Glass both by Lewis Carroll. 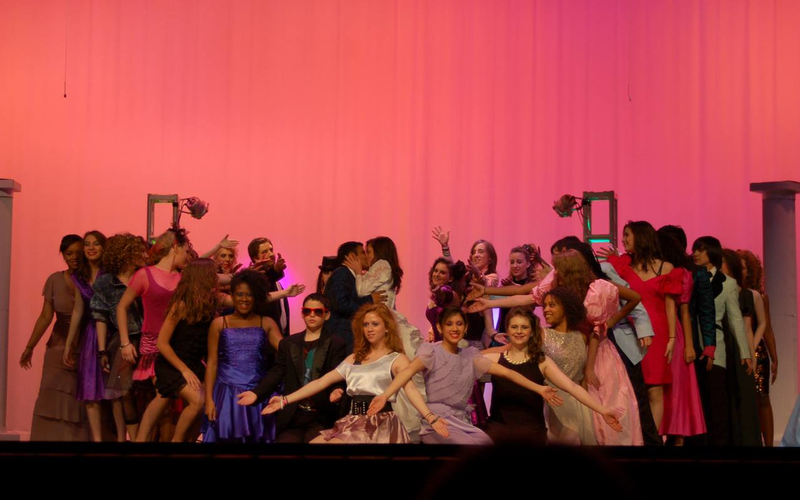 The Wedding Singer tells the story of Robbie Hart; a heart broken wedding singer who falls in love with Julie - a girl whose wedding he's helping plan.